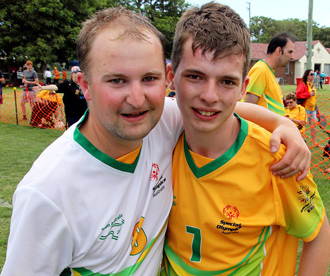 Special Olympics footballer, Raymond Blackadder from NSW described his experience at the Special Olympics Asia Pacific Games as 'awesome'. Photo: Vesna Podkrajac, Vesti Australia. Our Aussie athletes and officials have now returned home to welcoming families and communities to share fabulous stories of the Special Olympics Asia Pacific Games. The team did themselves and Australia proud with over 100 personal best performances, plenty of medals and ribbons, as well as many new friends and fond memories. Thanks to all athletes and officials who represented Australia with pride and great sportsmanship, and thanks to everyone who supported the team allowing them to have a rare opportunity to represent Australia. We look forward to more fun, friendships and frolics in 2014. Click here for a personal message to athletes and officials from Rachel Waddington, Head of Delegation, Team Australia. Click the image above to view highlights from the gold medal basketball match. Last chance to secure a momento of the inaugural Special Olympics Asia Pacific Games 2013. If you missed out on buying any official Games merchandise during the Special Olympics Asia Pacific Games the online store is still open. You will receive a free Games cap with any t-shirt, polo or jacket purchase. Games pins are also available. 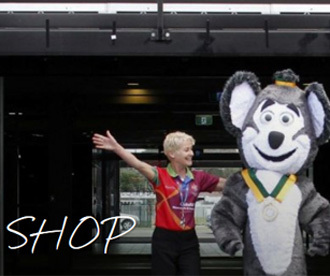 Please note that merchandise is managed by Kooga and the Games Organising Committee not Special Olympics Australia. Click the image above to view a feature video from the Health Symposium. The 'Our Time to Shine' Health Symposium gave over 100 health professionals an opportunity to hear up-to-date and practical advise from health leaders about how to prevent health issues in people with an intellectual disability. The aim of the symposium, which was held at the world-class Hunter Medical Research Institute, was to leave a lasting legacy that will lead to better health outcomes for people with an intellectual disability. The Health Symposium was sponsored by Australian AID and Port Waratah Coal Services, along with Compose NSW Agency for Clinical Innovation and the Hunter Medical Research Institute. Swimmer Bradley Doolan from NSW celebrates winning gold at the Special Olympics Asia Pacific Games with his nephew and biggest fan, Jack. Photo: Peter Muhlbock, Special Olympics Australia. As a not-for profit charity organisation we are are always in need of support so please get involved, donate or share our news via your own personal or business channels. 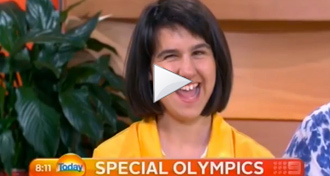 All content is cleared for the promotion of Special Olympics Australia. Our Aussie champions have done themselves proud with awesome sporting performances, but more importantly they have represented Australia with pride and great sportsmanship. Photo: Sharon Nixon, Special Olympics Australia. Click here to view the official results as collated by Special Olympics International. Team Pearson (Louise and Julia) were at the Closing Celebration to cheer on Claire Pearson and the Australian team as they marched along Newcastle foreshore. Claire from NSW won two gold and one silver medal in the pool. Photo: Peter Muhlbock, Special Olympics Australia. There were plenty of great pictures taken during the Games showing the enjoyment of athletes, families and officials. Click here to check out the photo gallery. For Games vision, results, media and stories visitwww.specialolympics.com.au/teamaustralia. The Games Organising Committee are currently producing a Games DVD and we will issue details of how you can get one in the new year. Port Macquarie athletes were welcomed home after a successful week in Newcastle. 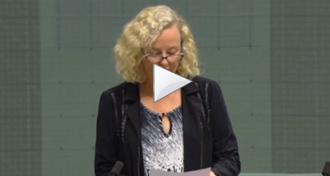 Click above to view the NBN News piece. Click here to read the hero messages to Team Australia and view the Champograms Wall. 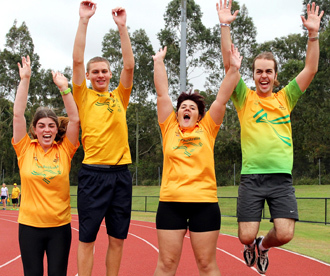 The Special Olympics Australia national office will be closed until 6 January 2014. 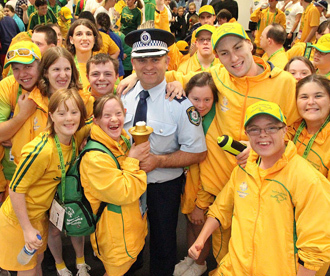 Enjoy the break as we prepare for another exciting year at Special Olympics Australia. 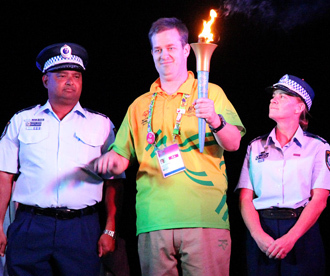 Special Olympics Australia athlete Geoff Kirby (aquatics NSW) with law enforcement officers from the Final Leg Torch Run had the honour of extinguishing the Flame of Hope to officially close the Games last night. Just the day before Geoff celebrated his birthday and described his first Games as an Australian representative as 'awesome'. Photo: Peter Muhlbock, Special Olympics Australia. Last night the Special Olympics Asia Pacific Games officially came to an end with an emotional street parade and open-air festival on Newcastle Foreshore. The Australian team were enthusiastically cheered by thousands of friends, families, volunteers and Newcastle and Hunter locals who showed their appreciation for all Special Olympics champions from the Asia Pacific region. Following the formalities, a spectacular fireworks display enthralled the crowd and then it was party time as 2,500 athletes from 32 nations let their hair down at a disco under the stars. Chairman of the Games Organising Committee, John Trevillian said that the Games were an outstanding success and that Newcastle and the Hunter Region should be proud of what was achieved. ‘This week we have seen the best of people. From our magnificent Special Olympics athletes and their carers, to our enthusiastic and committed volunteers, lives have been changed forever this week and we should all be proud of what we have achieved,’ he said. Click the image above to view highlights of Team Australia's parade at the Closing Celebration. Nelson Mandela with Special Olympics founder Eunice Kennedy Shriver and Special Olympics South Africa athlete Matsobane Mojapelo. Photo: Special Olympics International. As the Special Olympics Asia Pacific Games came to a close, the Special Olympics community were saddened to hear news of the passing of Nelson Mandela, the late South African president and international icon for inclusion, equality and freedom. 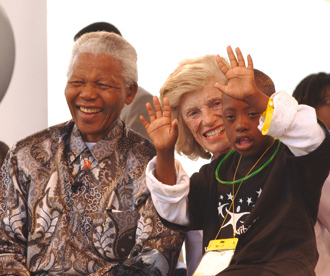 Mandela and his children’s foundation worked with Special Olympics founder Eunice Kennedy Shriver and her organisation to reach out to people with intellectual disabilities and their families. 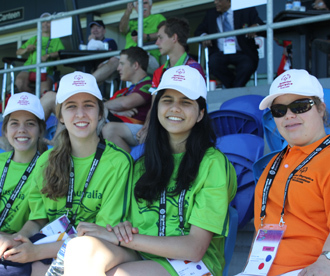 If you have a personal story about the Special Olympics Asia Pacific Games, or want to share your photos, please email media@specialolympics.com.au or call Sharon Nixon on 0406 821 461. 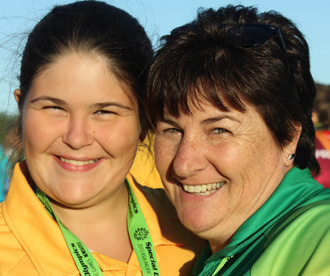 Special Olympics athlete Ruby Lawler from Queensland shared a special moment with her mum Suzie at last night's Closing Celebration. Suzie is in Newcastle as a volunteer official for Team Australia and she is as proud as punch of Ruby's efforts in the pool. Photo: Sharon Nixon, Special Olympics Australia. As a not-for profit charity organisation we are are always in need of support so please get involved and share our news via your own personal or business channels. 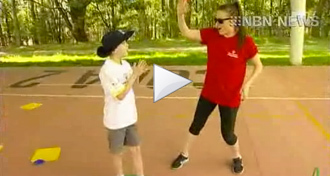 All content is cleared for the promotion of Special Olympics Australia. Our 400 Aussie champions can hold their heads high as they return home to share their Games experience with families, friends, fellow athletes and local communities across Australia. As our largest team ever, they performed extremely well with the official results showing that the Australiam team were awarded over 700 medals and place ribbons. And while the official results are yet to be published, and the overall personal best performances of the Aussie team are yet to be tallied, all indications show that our team performed exceptionally well, and they did so in good spirit and with great sportsmaship. Today, all Team Australia athletes and officials should stand proud. You have just represented our country with passion, pride and dignity. Three of our bocce boys gathered together yesterday to share their final goodbyes at the Athlete Village: (L-R) Jim Aarsse (QLD), Clark Hampton (QLD) and Cameron Chance (NSW). Photo: Sharon Nixon, Special Olympics Australia. Prior to the Closing Celebration the Aussie team hung out at the Athlete Village at Cypress Lakes Resort enthusiastically sharing their stories and bidding their final farewells to new found friends. When athletes arrive home today they will share a Games experience that will be held in their hearts forever. Click here to check out the team pictures. A Games Wrapup newsletter is scheduled for Tuesdaywith more photos, stories, final results, Games messages from our athletes and Hero Messages from families. Unfortunately Hero Messages weren't distributed directly to athletes during the Games - due to a technical hitch - but we will share the love in our final commemorative edition. Thanks to everyone who shared their stories and especially to our volunteer Team Australia officials and families in Newcastle who have been so supportive in helping us gather news. A special thanks to Kim Lawley (basketball), Ellena Morris (aquatics) and Toby Kable (cricket) for being particularly helpful to the small Team Australia media and communications crew. You have been wonderful and efficient, despite some outlandish requests! Plenty of smiles for Team Australia athletes as competition concluded today. Anthony Camilleri and Liam O'Donnell celebrate their bronze medal in 5-a-side football. Photo: Peter Muhlbock, Special Olympics Australia. 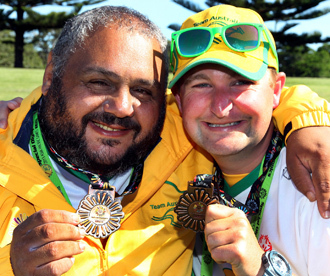 The final medals of the Special Olympics Asia Pacific Games were awarded today as competition ended for the 2,500 athletes from 32 countries who have enjoyed an unforgettable week representing their country in Newcastle and the Hunter. The Games will be officially declared closed tomorrow as part of the Closing Celebration festivities. 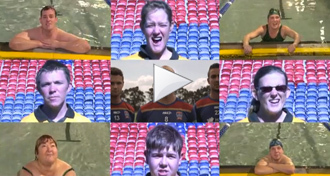 Yesterday Newcastle Jets W-league players held a football clinic with some Special Olympics footballers. Click the image above to see a video highlights package. Team Australia basketballers unite after their gold medal match. Photo: Eva Yao, Special Olympics Australia. On the final day of competition, every court, field, track and pool resonated excitement, gratitude, pride and a sense of camaraderie transcending language and cultural barriers. Grandstands were a sea of colour as supporters of all nationalities came together to cheer on final races and matches and applauded medal presentations. 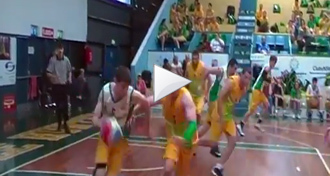 Basketball turned up the stereo for energetic, but short-lived games between Special Olympics Australia staff and the Japanese and Australian teams. Cricket medal presentations were followed by heartwarming demonstrations of team spirit, superior sportsmanship and a money-can’t-buy celebration of friendship between athletes, coaches, volunteers and families. Athletes from competing nations traded contact details, whipped out cameras for photos and congratulated each other. As the Special Olympics Asia Pacific Games wraps-up, we again witness the power of sport in its ability to transform and enrich the lives of people with an intellectual disability by not only celebrating their abilities but also giving them inclusive opportunities to experience joy and share the gifts of friendship with other Special Olympics athletes and the community. Erin Wood with mum Janette at athletics. Photo: Andrew Sadleir, Special Olympics Australia. Janette Wood has made quite the journey to Newcastle. She has travelled from Kalgoorlie-Boulder in Western Australia to watch daughter Erin compete in athletics. Janette is just one of the many Team Australia supporters who have painted Newcastle green and gold over the past week with their presence at venues and vocal backing. Janette acknowledged the power of Special Olympics as a support group for athletes and families. David and Christine Dodson have made the trip up from Victoria and were rewarded when they saw son Jason achieve a personal best to claim bronze in the men’s long jump. Also from Victoria, a group of parents travelled to support athletes Casey Petrie, Jaymee-Leigh Upton and Erin Gumbleton. 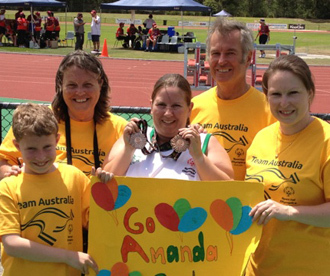 If you have a story about your supporters journey at the games please click here to share or emailmedia@specialolympics.com.au. Swimmer Bradley Doolan from Victoria was supported by his nephew Jack Doolan. Photo: Paul Wiggins, Special Olympics Australia. Volunteers Alex, Isabelle and Chloe enjoyed the football today with Special Olympics athlete ambassador Mel Eustace. Mel, who has previously represented Australia said 'I felt very proud when I first won an international Special Olympics medal, but I feel even prouder handing them out today. Photo: Sharon Nixon, Special Olympics Australia. 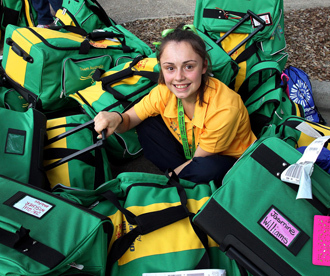 Ravenswood School students, Isabelle, Alex and Chloe are in Newcastle as volunteers for the Team Australia media team. Today they headed out to Newcastle Basketball Stadium at Broadmeadow to watch the medal matches and they even took up the challenge to play a friendly match against some of the Australian basketballers after competition concluded. This is what they had to say about their experience. ‘Being part of the Special Olympics Asia Pacific Games is a truly honorable experience. It's been exciting watching the Aussie athletes battle it out against other countries. Watching the basketball finals at the Special Olympics Asia Pacific Games was particularly special, with the Australia vs Australia Men’s Division 1 basketball final a nailbiter. As expected, Australia came out victorious with both sides playing with everything they had to make for a very entertaining game. The speed, strength and overall skill was absolutely inspiring. When the final whistle blew both Australian teams celebrated the Game with a final communal chant and a bow to the audience. Their faces were beaming. We then had the opportunity to participate in a friendly basketball match against one of the Australian women's teams, a Chinese men's team and against the referees. After their own victory, Aussie twins Brad and Wayne Kinross provided coaching and expert tips to our inexperienced team who were whipped by the talented Special Olympics athletes. Volunteering at these Games will be unforgettable. Still wondering how to send your champogram? 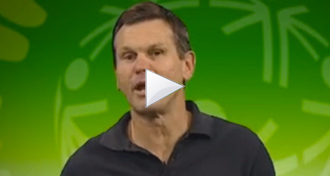 Check out this video from our ambassador Peter Overton explaining the #champogram concept. 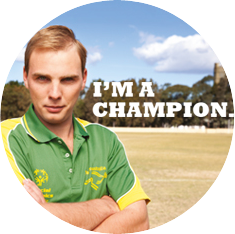 You can send a message of support to the Aussie team via a champogram. Simply record a video, take a photo or write a message and post it via Twitter or Instagram using the hashtag #champogram in the post. 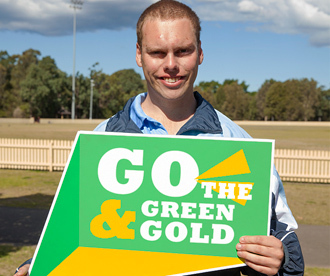 Alternatively post your message to the Special Olympics Australia facebook wall. Once moderated, your message will appear on our champogram wall. Please share our news via your own personal or business channels. 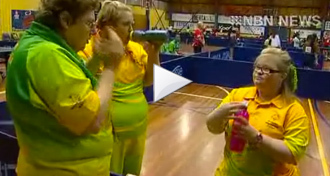 All content is cleared for the promotion of Special Olympics Australia. If you want to volunteer with the media team in Newcastle get in touch! Newcastle will farewell Special Olympics athletes in spectacular style tomorrow night with a parade of athletes and a fireworks display at Newcastle Foreshore from 7.15pm. Over 2,500 athletes and officials will participate in the parade along Wharf Road to Customs House and we encourage locals, volunteers and families to line the street to give athletes of the first ever Special Olympics Asia Pacific Games a farewell that they will never forget. The Closing Celebrations will mark the official end of the Games and will feature words from our athlete ambassadors as well as a performance by multi-award winning country singer Amber Lawrence. Click the image above to view highlights from day 5 of competition. It was an action-packed day on the track today with plenty of finals to wrap up a fantastic week of athletics competition. A huge 56 medal ceremonies were held with volunteers and officials presenting medals and ribbons to athletes. 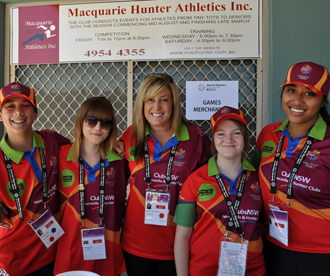 The volunteer team at Hunter Sports Centre have been amazing all week making sure events ran smoothly and athletes were able to compete to the best of their ability. So, it was no surprise that there were plenty of smiles and tears as they said goodbye. The Forum was packed to the brim today for the final day of what has been a spectacular competition. NRL and Newcastle Knights great Paul Harrigan made an appearance midway through the day to present medals, making the day of many Aussie fans and athletes who relished in the support of a local celebrity. Click the image above to view NBN News feature one. Plenty of spectators, schoolkids and volunteers got in early to secure the best seats to watch the medal matches today at the Newcastle Basketball Stadium. Those at the venue witnessed plenty of fierce competition and every basket was celebrated with loud cheers as teams focused on winning gold for their country. The Australian men’s division 1 team made up of South Australian athletes took out the final on the main court against the other top-level Australian team, with athletes from NSW, in what was one of the most intense events of the competition. The bocce competition has been a huge event and with so many athletes involved there have been a few delays, so some final medals will be awarded tomorrow at the hugely popular Charlestown Bowling Club. Our cricket team were delighted to receive the bronze medal in the cricket competition. 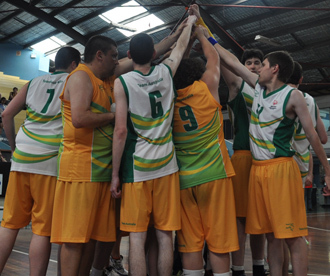 This is the first time our Aussie Special Olympis athletes have had a chance to represent our country in the sport. 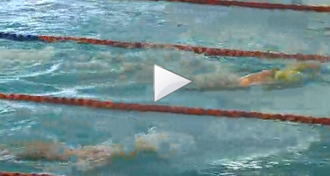 Swimmer Ben Morrison was featured on ABC News. Click the image above to see the video. Today the Philippines team defeated Bharat (India) to win the gold medal in the 11-a-side football competition, ending their competition undefeated. Team Philippines football coach Jesus C Landacau, or 'Coach Jess' as he is affectionately known, is in awe of their performance. Despite football being less popular in his home country the talented Philippines boys have managed to dominate the football field at the Special Olympics Asia Pacific Games. 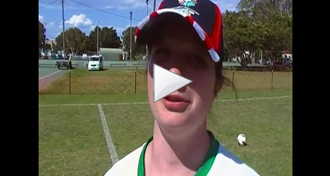 Coach Jess now hopes to increase football participation back home. On the topic of the Australian lifestyle he said, ‘the stay has been nice. I am envious of the wealth and opportunity this nation is privileged with.’ His team, many of whom were abandoned and orphaned in childhood, have thrived in the welcoming Aussie environment despite having trained together for only three months. Click the image above to view NBN news feature two. Our four competitiors each won a medal, with Ashley Parrott picking up gold in the Open Men's competition defeating the reigningworld champion from India. Another great day for Team Australia bowlers in the teams event at Superstrike Bowl. The tally for the day was 4 gold, 7 silver, 2 bronze and 2 fourth. Bangladesh | Golan Mostafa coach of the Bangladesh aquatics team quotes that the 'nice weather and nice people' are contributing largely to the wonderful time he and his team are having in Newcastle during the Games. Mostafa reasons that Australia is a very privileged country as he compares the air quality and spaciousness to that of Bangladesh. One specific member of the team 'Parul Akter' has had a fantastic success when she managed to obtain a gold medal when participating in the 50metre women's breaststroke. Parul has previously traveled to the Athens games in Greece in 2011 but maintains that Australia is 'nicer' as she loved seeing the native wildlife. The whole Bangladesh team is 'having fun' and enjoying their time in Australia. Bharat (India) | The Indian aquatics team are having a very 'nice time' in Australia quotes Duyashant (from New Delhi) who recently achieved a silver as he came second in the 25m mens breaststroke. His favorite part about the games so far is definitely the swimming although Duyashant had an extremely 'fun rest day' which he spent with the whole of his team. Indonesia | Harison the coach of the indonesian aquatics team comments that everything is 'going well' with his team of eight athletes (5 male and 3 female). He and his team spent part of their rest day at Myuna Bay (which reminded him of Toba Lake near his home in Indonesia). Philippines | Philippines head aquatic coach Maila trains and teaches many students in the Philippians. Her favorite aspect of the games so far would have to be the Opening Ceremony where she was astonished by the organisation that allowed fire dancers, horses, plays and singers to perform in order to celebrate the opening of the games. Maila maintains that her swimmers are doing very well winning all of bronze, silver and gold medals however feels that her favorite part of Australia would have to be the beach and all the friendly faces she has met there. Macau | Johnny head aquatics coach of Macau is overwhelmingly proud of the achievements of his team and their efforts so far in the games. Considering swimming is not s big sport in Macau the success of his team in receiving one gold and two bronze has left the whole team 'most happy.' The athletes were excited by their interactions with the kangaroos and koalas as they feel they are 'symbols' of the Australian identity. Team Australia were back in action today as competition resumed. Photo: Paul Wiggins, Special Olympics Australia. Following a well-deserved rest day yesterday, athletes resumed competition across all sports today thanks to the many volunteers who are making these Games happen. Today is International Volunteer Day and with 5,000 volunteers in Newcastle right now the city has truly embraced the volunteer spirit. The Special Olympics Asia Pacific Games was recognised in federal parliament today. Click above to check out the video. Volunteers are running fundraisers across all venues, well done community champions! Photo: Alex McNeilly, Special Olympics Australia. 2,500 athletes from 32 countries would simply not have the opportunity to enjoy the Special Olympics Asia Pacific Games in Newcastle if it wasn’t for the 5,000-strong volunteer army who are making the Games happen. Today, on International Volunteer Day, we pay tribute to the thousands of men and women providing support at the Game’s seven sporting venues, eight Athletes Villages, catering centres, Young Athletes program, Healthy Athletes program, medical centres, media rooms, as well as event volunteers for sports competitions and Opening and Closing ceremonies. Thank you for giving up your time to support the athletes of Special Olympics! Today, a thank you event was held for Games volunteers at with Special Olympics Australia athlete ambassadors Chris Bunton and Andrew Radford in attendance to officially thank volunteer representatives for their contribution to the Games. Volunteers and officials at the Tenpin Bowling. Photo: Eva Yao, Special Olympics Australia. As Village Manager for Cypress Lakes Resort, Katina and her team of six volunteers manage the accommodation, catering, transport and all onsite activities for the Village’s 640 athletes from Australia, Western Samoa, American Samoa, New Zealand and Singapore. 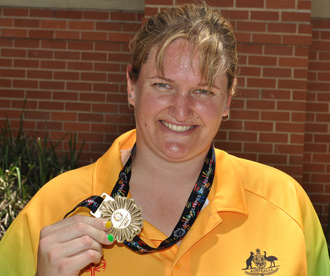 Pamela McDonnell is a member of the Team Australia medical team for athletics. Pam has been volunteering for Special Olympics Australia for over 20 years, working two Sundays every month and at least once a week. Working in partnership with the team doctor, Pam provides care and supervision for the 46-strong Aussie athletics team, giving remedial massages and assisting in first aid. Pam says she is passionate about Special Olympics. Amanda Stevens (centre) and her support crew, (left to right) nephew Samuel, mother Gail, father Don and sister Katie. 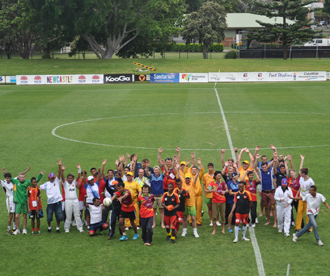 Athletes, volunteers and local celebrities joined in a football match at Newcastle Sportsground No.2. Photo: Eva Yao, Special Olympics Australia. The Newcastle Sports Grounds came alive this afternoon with a football match of a different kind as more than 50 athletes, volunteers and rugby players filled the pitch in an inspiring show of diversity and unity in sport. Athletes from Australia, Pakistan, India, the Philippines, Thailand, Timorlest and Japan joined players from local rugby union team - The Wanderers, and volunteers from the Games and St Johns Ambulance in a friendly match of football. Men, women and people with and without an intellectual disability of all sporting capabilities made up the colourful team, which was cheered on by more than 100 supporters sitting in the audience stand. It was a fantastic end to an action-packed day on the football field. 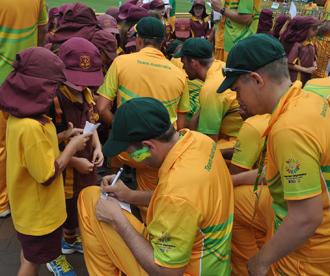 Team Australia cricketers sign autographs for local school children. Photo: Eva Yao, Special Olympics Australia. 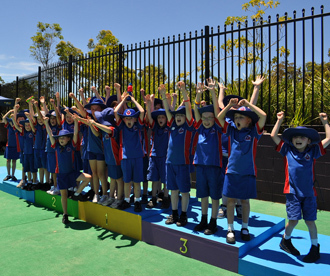 Our Aussie athletes in aquatics, football, cricket and Basketball received visits today from local schools with great enthusiasm in a demonstration of the huge engagement the Games has received from local communities. Team Australia athletes at a number of sporting venues were pleasantly overwhelmed today with requests for signatures and photos from primary school students in the Newcastle area. Click the image above to view highlights from day 4 of competition. Newcastle Knights great Danny Buderus made an appearance at the Hunter Sports Centre today to present the medals to the athletics athletes. 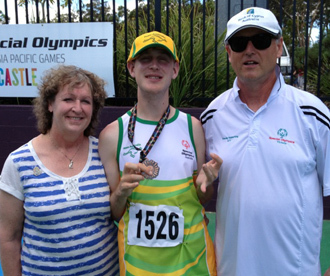 Luke Rout from Orange in NSW took out two gold medals, winning mens shot put and mens 200m. Luke was thrilled with his efforts. "This is my 13th year in Special Olympics and I am so happy with my performance." Cheered on by her family supporters, Amanda Stevens secured a bronze in the FIS 100m, while Jason Dodson achieved a personal best in winning the bronze in long jump and Paul Bowmaker also won a bronze. To date, the Australian aquatics team have racked up an amazing 58 personal best performances and it was a clean sweep in the pool for the Aussies today in the 400m freestyle. This morning Australia took out the first five positions in the men’s 400m freestyle and the first four in the women’s 400m freestyle. For the women, Claire Pearson of NSW took gold, Deana Horvat of Victoria silver, Ruby Lawler of Queensland bronze and Lucy Dumitrescu of NSW fourth. In the men’s event, Ben Morrison of Victoria won gold, followed by local Hunter athletes Keiran Corry and Tristan Finnen, with Ashley Tyler of South Australia and Brendan Foley of NSW rounding out the positions. Several of the men achieved personal best times in the race which had the crowd cheering as competitors went neck and neck from start to finish. The win was particularly special for Ben who was determined to win gold for his grandpa. ‘My grandfather once told me to never give up swimming and to keep trying to do my best, and I promised I would,’ Ben said. Sadly, Ben’s grandparents lost their lives in one of Australia’s worst natural disasters, the Black Saturdaybushfires of 2009. 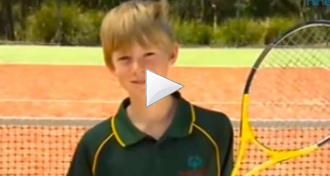 You can view Ben’s story on ABC News at 7pm on Friday 6 December 2013. Jason Dodson's personal best of 2.94m helped secure him bronze in M7 long jump. Photo: Andrew Sadleir, Special Olympics Australia. Today over 100 school students flooded into Newcastle Basketball Stadium to cheer on our basketballers and with such incredibly strong matches there were stomping feet all around the arena. The finals kick off tomorrow from 10am with the competition to be as fierce as ever. The gold medal matches are scheduled for 11.15am with Australia set to dominate the medals in both the male and female divisions. For a bit of fun entertainment there will also be a scratch match of Aussie basketballers versus Aussie supporters at 12.30. Charlestown Bowling Club hosted yet another amazing day of bocce competition today with tomorrow set to be a ‘clap-fest’ with all medals to be presented in a gala event. One of the great stories from bocce is around Anne who is an 87-year-old volunteer. Anne worked full days on Monday and Tuesday where she was allocated to Team Bangladesh. They now were lovingly refer to her as ‘Grandma’. Anne returned to the bocce venue today to help the team out… even though she wasn’t scheduled to work! Awesome work, Anne! A big day on the cricket pitch today with the Indian team bringing home a big win against Australia! Their head coach Dr. Anil Sharma said the team has been having a huge amount of fun at the Games, enjoying playing the sport and meeting new people. They’ve only lost two games so far and are pretty proud of scoring 100 runs in 20 overs - a brilliant result! 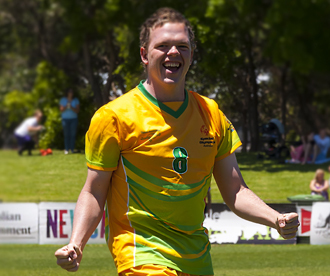 On the football field today, Australia were happy to report that their best game in their Special Olympics Games campaign was against Bangladesh and they’re looking forward to suiting up for their next game tomorrow at 1pm. The team is having a brilliant time representing their nation and making new friends from all around the Asia Pacific region! 5 a side Football action from the match between Australia A and Australia C. Liam O'Donnell and Robbie Streeting (right) after the match. Photo: Peter Muhlbock, Special Olympics Australia. A hard-fought competition ended with a bronze medal in combined age group singles for Cassandra Bonomo from the Australian team. Cass was beyond excited to proudly display her medal for all to see, a token for all of her hard work this week! The men’s and women’s singles table tennis is now complete and is to be followed by the men’s and women’s doubles matches tomorrow. This afternoon at Superstrike Maitland the Aussie team were on form with the Aussie women’s doubles teams winning in every single division. The day ran smoothly and by 3pm, competition had wrapped so there was time to loosen up with some dancing. Mayor of Maitland, Peter Blackmore, Paul, Michael and Kate from Network Twenty-One and Ann-Maree Putney a top Australian tenpin bowler were on hand to present medals and ribbons with the Australian team dominating the podium. Tenpin bowler, Brianna Duffy from the Gold Coast, QLD is representing Australia for the first time and brought home a ribbon in her singles game earlier this week. 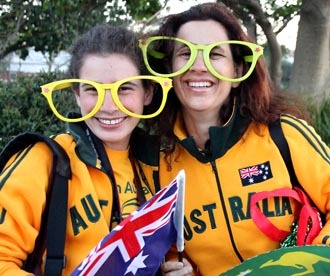 Brianna says travelling with Team Australia and meeting new friends is the most exciting part of the Games. She and doubles partner, Josie McLean played well on Thursday morning and are very proud of the scores they achieved. Josie McLean from Collaroy began bowling at the age of 10 and is the first person in her family of five brothers and sisters to be selected to represent Australia. In addition to tenpin bowling, Josie is also loves hip-hop dancing, gymnastics and swimming. Josie won a bronze medal in her singles game and is looking forward to achieving more great results later this week. Her favourite moments at the Games has been attending the Opening Ceremony and competing in front of her family. 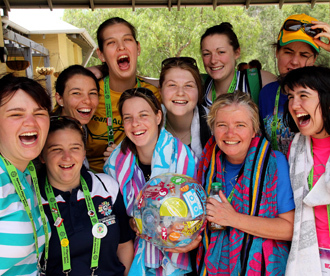 Team Australia athletes took to the pool on their day off today for some fun and relaxation. Photo: Peter Muhlbock, Special Olympics Australia. The Athlete Village at Cypress Lakes was full of fun and activity today as Team Australia, and all 31 other delegations, enjoyed a rest from competition to enjoy home base and recuperate from their busy sporting schedule. On what was a very warm Hunter day, the pool was the most popular destintion for the Aussies as athletes enjoyed some fun in the sun with ball games and tandem diving. The cricket teams were all business, hitting the tennis courts for a practice match before their competition heats up tomorrow and Friday. Athletes from New Zealand, Samoa and Singapore who are also staying at Cypress Lakes, visited the Healthy Athlete Program in the morning before shopping in Maitland, where they were joined by some Team Australia footballers and basketballers. As the sun settled over the Hunter Valley athletes came together for a rock and roll dance-fest with plenty of athletes pulling out the smooth moves. Elsewhere, athletes from Macau, Japan and Thailand visited Oakvale Farm near Port Stephens to meet koalas and kangaroos and feed some baby animals. Sports competition resumes across all sports tomorrow. 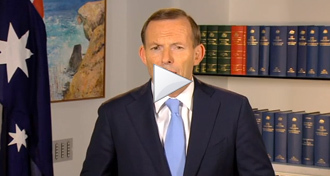 Click the image above to view a personal message to Team Australia from Prime Minister Tony Abbott. 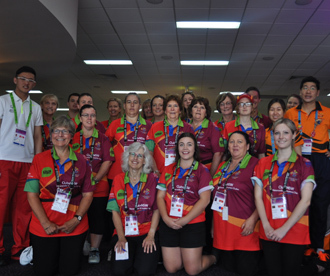 Tenpin bowler Willie from NSW has reunited with family at the Special Olympics Asia Pacific Games. Photo: Sharon Nixon, Special Olympics Australia. It’s not everyday that you read about two family members living in different parts of the world, participating in the same international sporting event. Villiamu Tumaalii or ‘Willie’ as he is affectionately known, is a proud Team Australia tenpin bowler of Western Samoan heritage. His aunt is the athletics coach for the Western Samoan team. 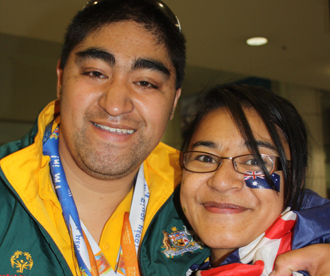 Willie has been with Special Olympics Australia since 2003, while his aunt has been coaching the Western Samoan athletics team since the World Summer Games in Athens in 2011. The Australian and Samoan teams share an Athlete Village at Cypress Lakes Resort in the Hunter Valley, allowing aunt and nephew an opportunity to catch-up. For Willie, the Special Olympics Asia Pacific Games represent the second time he has competed for Australia on an international level. He competed in the Special Olympics World Summer Games in Athens in 2011 and brought home two bronze medals. Willie is excited about his matches later this week and says that his favourite moment of the Games has been attending the Opening Ceremony and seeing the thousands of Team Australia supporters and fans in the audience. 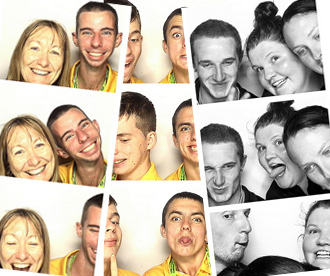 Some of the hilarious shots from the photo booth at the Athlete Village welcome event. You loved our flickr photo galleries so much that yesterday we smashed our previous record of 19,997 daily views. From today our new record is a whopping 67,593 views! Click here to check out our latest picture updates and help us create a new record. 100,000 daily views sounds like a good goal. Thousands of schoolkids are getting out to competition to cheer on our Aussie champions and asking for autographs from our sporting stars! 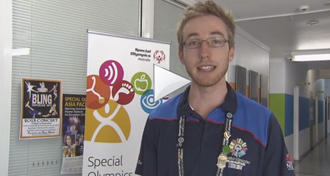 Photo: Alex McNeilly, Special Olympics Australia. Click the image above to view highlights from today's rest day where athletes were able to recuperate from their busy sporting schedule. With a rest day from competition, one of the places to be today was the Healthy Athletes program at Broadmeadow PCYC. Healthy Athletes gives athletes an opportunity to take part in freee health screenings conducted by volunteer professionals. In Newcastle, athletes were offered screenings for eyes, ears, teeth and general health. Nathaniel Quan from NSW at the Healthy Athlete program. Photo: Paul Wiggins, Special Olympics Australia. 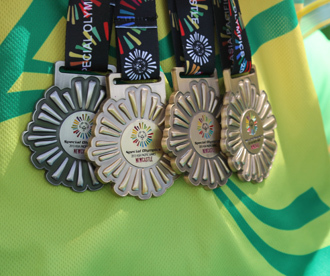 Medals and ribbons have been well received over the first two days of competition with Team Australia athletes proudly showing off their treasure. 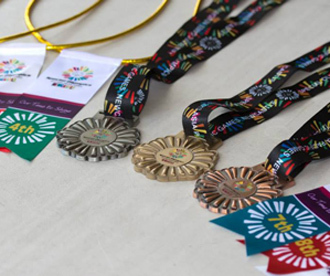 The design of the medals is based on the Special Olympics Asia Pacific Games logo. The 'sunburst' design represents the many different nations, cultures and people taking part in the Games. The medals are die-cut to produce a three dimensional shape, are made of a zinc alloy with an antique finish and feature the brightly coloured logo in the centre. A total of 2,253 medals and 2,205 ribbons have been produced for the Games. Gold, silver and bronze medals will be presented to the first, second and third placegetters, while ribbons for fourth, fifth, six, seventh and eighth place will also be presented. The Medals and ribbons were designed by Kingdom Sports Group who have been designing medals, pins, garments and products for Olympic Committees and Commonwealth Games Associations for many years. Top-class awards for top-class athletes. Photo: Newcastle Sundance_Rhys Newton. Kleo Charnas from Armidale joined Special Olympics Australia in 1989 and is proud to be part of the Australian athletics team, competing in the 100m sprints, shot put and relay. Kleo says joining Special Olympics has given her confidence and the ability to be independent, while her highlight of the Games is being a member of the Team Australia family. Maitland local, Jarrod Lantry is on the Aussie football team and has been playing soccer and swimming competitively since a young age. This is his second soccer tournament and first international event with Special Olympics. Jarrod is proud to be wearing the green and gold on home soil and says competing so close to his hometown definitely makes it even better. 20-year-old Taylor Doyle from Oakville, NSW has been competing in athletics since she was nine years old. Aside from being a proud member of the Australian athletics team at the Games, Taylor is also full of talent in the pool. Taylor will be competing in the 100m sprint and long jump later this week and is looking forward to doing her personal best in front of her mum, dad and grandparents who are coming up to watch her race. 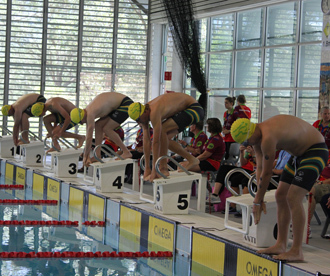 Our Aussie champions are wearing the green and gold with pride as they compete against 32 other Asia Pacific nations. Harry Langford from Sydney, NSW is competing in cricket. Good luck Harry and Team Australia! Photo: Taste Media. Today is International Day of People with a Disability (IDPwD), a United Nations sanctioned day that promotes the dignity, rights and well-being of people with disability. And the world’s biggest celebration of disability today was the Special Olympics Asia Pacific Games, a celebration of 2,500 athletes from 32 countries held right here in Australia. To commemorate the 21st anniversary of the event four young Australians with a disability who turned 21 this year told their personal stories of what they have achieved over the last two decades. 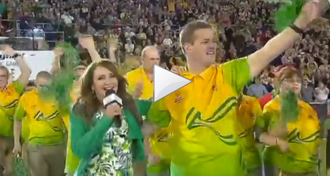 Special Olympics athlete and Games ambassador, Chris Bunton from St Clair NSW was one of the stars. Click the image above to view the video of Chris Bunton, an IDPWD ambassador and Special Olympics athlete. Athlete leaders with Special Olympics Global CEO Janet Froetscher at the breakfast this morning. 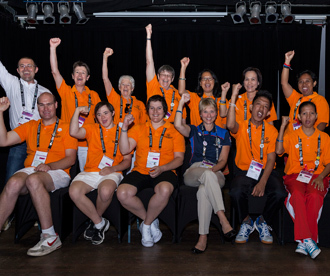 Athlete Leadership ambassadors from Asia Pacific countries shared breakfast with newly appointed Special Olympics CEO, Janet Froetscher, this morning in Newcastle to spread the word about social inclusion on International Day of People with Disability. The event brought together athlete ambassadors and their mentors from more than 30 countries to empower their communities and become advocates for Special Olympics around the world. The ambassadors spoke about the importance of the leadership program and the impact it has had on their lives. Athlete Leadership Programs provides training and support for athletes and gives them the opportunity to hold leadership positions and channel their confidence through public speaking, community engagement, working on committees and acting as ambassadors. 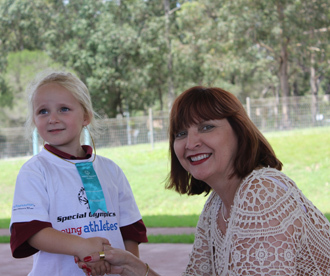 Click the image above to view the NBN piece about the Special Olympics Young Athletes fun day. 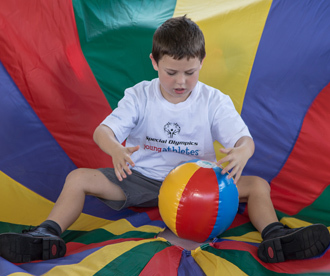 They may be too young to compete in Special Olympics, but that’s not stopping Hunter toddlers and children from getting in on the action of the Special Olympics Asia Pacific Games. Watch our new generation of stars as featured on NBN News last night. 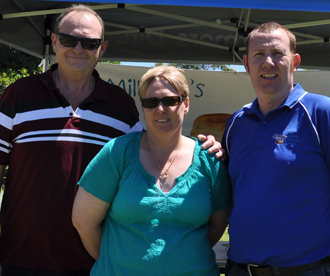 Jeff and Jenelle Reynolds with Kevin Morris, Franchise Development Manager for Aussie Farmers Direct. Photo: Eva Yao, Special Olympics Australia. At 15 years of age Kasey from WA, is the youngest female athlete on the Australian team. Kasey is competing in swimming and is thrilled to have the opportunity to wear the green and gold at her first international sporting event. Kasey’s parents are franchisees of Aussie Farmers Direct, which generously donated 20,000 pieces of fruits to the Games to support healthy eating among athletes. Kasey completed her swimming heats today and will proceed to medal events later this week. Some of the amazing (and hilarious) shots from the photo booth at the Athlete Village welcome. Last week’s celebration to welcome athletes to the Village was a jovial event with athletes getting to know each other and soaking up the team spirit. One of the highlights of the night was the photo booth where athletes snapped themselves letting their hair down.Click here to check out the shenanigans. Click the image above to view highlights from Day 2 of competition. With divisioning done and dusted, the sports competition was in full swing today with athletes getting serious about their events. Tomorrow is a social day with athletes being treated to a range of social and cultural activities. There will be no Games competition tomorrow. Click the image above to view highlights from Day 1 of competition. Click the image above to check out some highlights from Bocce competition including an interview with Clark Hampton. 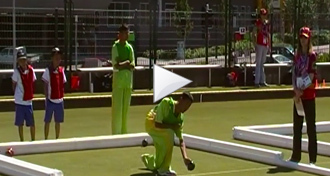 On a spectacular Newcastle morning, Charlestown Bowling Club was buzzing with excitement as bocce competitors gathered for another day of competition at the Special Olympics Asia Pacific Games. With 33 divisions competing today, it was a big day for bocce and among the sports stars were 61-year-old Doug Beattie, the Australian team's oldest athlete and Clark Hampton. Doug from NSW and Clark from Queensland teamed up to defeat Macau and progress in the bocce men's doubles in to the delight of an enthusiastic crowd. Bocce is the third most participated sport at the Games and Hampton acknowledged the unique opportunity to compete against other nations. Last night the Australian bocce team received a surprise visit from the Etherton family. Matthew Etherton who was originally part of the team passed away, unexpectedly recently and the family came to spur on the team and wish them great success at the Games. The bocce team held a minute silence in memory of Matthew. Matthew’s sister Mellissa Etherton is also a member of Team Australia and she is competing in tenpin bowling. 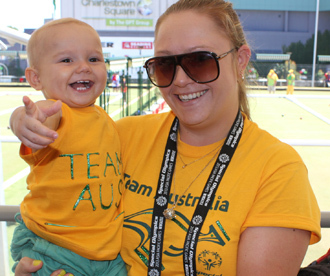 There was a vocal crowd of supporters at the bocce today, including Courtney LeLay with her baby son Kobey who were decked out in their green and gold bling to cheer on Brisbane East athlete Meagan LeLay. Photo: Paul Wiggins, Special Olympics Australia. 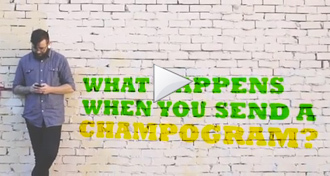 Ever wondered what happens when you send a #champogram? Check out this video from our friends at Taste Media. Hat-trick hero! 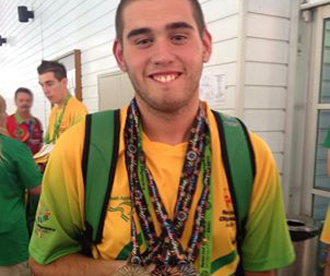 Joshua Paine-Bell with his three medals in aquatics taking home gold, silver and bronze. Photo: Facebook. Peter Secomb from the Central Coast is honoured to have the opportunity to compete for Australia in cricket, and vows to do his personal best at the Games. Peter’s highlight at the Games so far, has been receiving his baggy green before his first game. He competed in the Special Olympics World Summer Games in Shanghai in 2007 and is proud to have kicked the winning goal against Austria to help his team win the bronze medal. 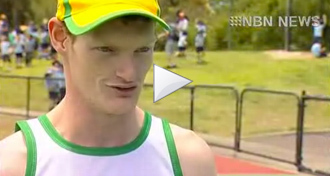 At just 15 years of age, Robert from the Central Coast is one of the youngest athletes on the Australian Team. He is representing Australia in cricket, however he also trains in athletics, swimming, tennis and golf. Robert says his favourite moment of the Games has been walking into Hunter stadium during the Opening Ceremony to a cheering crowd. Click here to read more about Robert. It's game on for Team Australia as the Special Olympics Asia Pacific Games competition gets underway. The team is still buzzing after last night's spectacular Opening Ceremony. Photo: Taste Media. 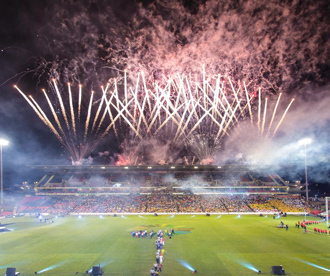 The Opening Ceremony extravaganza held at Hunter Stadium last night kicked off the inaugural Special Olympics Asia Pacific Games in style in front of a delighted crowd of almost 25,000 people. With entertainers such as Human Nature, Marcia Hines, Anthony Callea, Marina Prior and Iva Davies it was a star-studded performance, but the biggest cheers were reserved for the stars of the show – the 2,500 Special Olympics athletes from 32 countries who proudly marched into the stadium as part of the Parade of Athletes. As each nation was announced, with Team Australia as the final delegation, Games volunteers formed a guard of honour for the athletes who were met with thunderous applause. Her Excellency then officially declared the Games open as stunning fireworks lit up the sky to herald the beginning of Games competition, which will take place in Newcastle from 2-7 December 2013. Australia's Shaun McKee celebrates winning Australia's first medal at the Games. He won silver in the 5000m track event. Pictured with his mum and dad, Ian and Pamela Burrows. Photo: Peter Muhlbock, Special Olympics Australia. Competition began today in nine sports with all sports, other than athletics, hosting divisioning rounds. 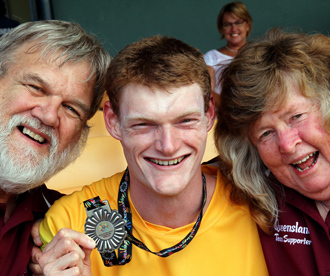 Queensland’s Shawn McKee secured Australia's first medal of the inaugural Special Olympics Asia Pacific Games with a silver in the 5000m track event, with his parents there to cheer him on. The Australian women also cleaned up in the 400m, finishing 1-2-3. Tomorrowmedals will be awarded in athletics, aquatics, badminton and tenpin bowling. Special Olympics International CEO Janet Froetscher and Special Olympics footballers pose for photos after the Unified football match. Photo: Peter Muhlbock, Special Olympics Australia. Today’s festivities featured a unified football match between Special Olympics athletes and players without a disability, including new Special Olympics global CEO Janet Froetscher, Chair of Special Olympics Australia Mark Streeting and members of the local Newcastle Jets football club. Hidetoshi Nakata, former Japan National Footballer, Series A and Premier League player was also on hand to enjoy the fun. Unified Sports joins people with and without intellectual disabilities on the same team to promote social inclusion. It was inspired by the simple principle that training together and playing together is a quick path to friendship and understanding. Special Olympics global CEO Janet Froetcher with Games ambassador Hidetoshi Nakata. Photo: Peter Muhlbock, Special Olympics Australia. Special Olympics is a worldwide sporting movement that promotes sport as a vehicle of inclusion for people with an intellectual disability. Globally, the movement supports over 4.2 million athletes in 170 countries. Recently appointed global CEO Janet Froetscher is in Australia at the Special Olympics Asia Pacific Games – her first international competition. Today she took part in a Unified Sports football match as well as a leadership breakfast hosted by Lions Club International President Barry Palmer where she announced that Special Olympics athlete Ben Haack from Queensland has been appointed to the Special Olympics International Board. Ben is a member of Special Olympics Athlete Leadership Programs. Team Australia cricketer Peter Secomb with former Australian batsman Rick McCosker. Photo: Sharon Nixon, Special Olympics Australia. It’s one of the most iconic items in Australian sport and for 26 Special Olympics cricketers, receiving their baggy green cap this afternoon at the picturesque Newcastle Sportsground No.1 was a moment they will never forget. Former Australian batsman Rick McCosker, a Hunter local, was on hand to present the baggy green, emblazoned with the Special Olympics Australia logo, to the Aussie Special Olympics cricketers. With his parents Jon and Bee looking on, it was an extra special moment for Sydney Upper North Shore athlete Nathaniel Quan. Many years ago, when Nathaniel joined Special Olympics he had a dream of being capped with the baggy green and today he achieved his goal. Good luck to Nathaniel and all of our Australian cricketers! Click the link above to view highlights from the Opening Ceremony of the Special Olympics Asia Pacific Games. 24-year-old Special Olympics Australia athlete ambassador Mel Eustace from Sydney NSW, gave a passionate speech expressing what Special Olympics means to athletes with an intellectual disability. ‘Special Olympics allows me to be healthy, have friends, be fit, enjoy life and achieve,’ she said. Following an extensive Final Leg Torch Run in which Law Enforcement Officers carried the Flame of Hope from Sydney and through communities in the Hunter and Newcastle, NSW Police Commissioner, Mr Andrew Scipione delivered the Flame of Hope to Australian athlete Geoffrey Kirby at the Opening Ceremony to conclude the Torch Run journey and symbolically open the Games. Geoffrey, a swimmer from Cardiff South in the Newcastle area, was given the honour of lighting the cauldron, which was designed in the shape of the Games logo. The final 'petals' of the logo were placed in position by Special Olympics athletes and local performers, representing acceptance of people with intellectual disabilities. For 31-year-old Special Olympics athlete Stewart Abbott, playing the piano is a way of communicating. During the Opening Ceremony, he collaborated with Opening Ceremony Creative Director, John Foreman, to perform a grand piano medley which ignited huge applause from the crowd. 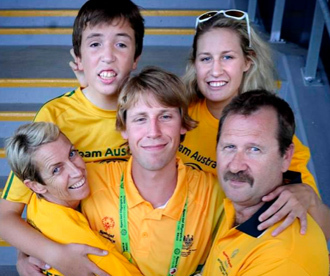 Team Australia athlete Keiran Corry with his family. Photo: Newcastle Herald. If you caught the Newcastle Herald over coffee this morning you would have been delighted with the coverage of last night’s Opening Ceremony with a photo of Tasmania’s sole athlete and bocce player Donna West gracing the cover. Local athlete Keiran Corry, who will compete in swimming at the Games, also shared the limelight with a story sharing how Special Olympics has positively influenced the Corry family, which includes three siblings with an intellectual disability. Athletes enjoy the activities at the Special Olympics Young Athletes Fun Day. Photo: Phillip Wittke. They may be too young to compete in Special Olympics, but that’s not stopping Hunter toddlers and children from getting in on the action of the Special Olympics Asia Pacific Games. Minister for Sport and Recreation, Gabrielle Upton and Member for Newcastle, Tim Owen, today attended the Young Athletes Fun Day, held at the University of Newcastle, which gives young children between the ages 2-8 a chance to develop their sporting skills through play. ‘Special Olympics Young Athletes program is a unique sport and play program for children with an intellectual disability,’ said Ms Upton. The program is supported by Mattel and many of their Australian staff were in Newcastle today. Local athlete, Keiran Corry from Nelson Bay is proud to be representing Australia in aquatics at the Games and he had the support of his entire family as he marched into Hunter Stadium last night during the Opening Ceremony. Keiran loved competing in the Special Olympics World Games in 2011 in Athens but said that competing on home soil means more to him because his family can come and watch. Click here to view Keiran’s story. 17 year-old Jordan Brown from Warners Bay has overcome remarkable challenges to compete in the Special Olympics Asia Pacific Games. Only able to reach 15 -25 metres when he first began swimming lessons, Jordan represented Australia in the 200 metre event time trials on Opening Ceremony day. Jordan says he ‘is proud’ of his experiences with Special Olympics and has grown in confidence since participating in regular training for the Games. Click here to met Jordan. Belinda Prince from Newcastle has been training in aquatics twice a week for 12 months in preparation for the Games. She says having the opportunity to represent Australia means so much to her as it allows her to participate in social activities. Belinda has been swimming for 14 years and is incredibly proud to be competing in front her family and friends in Newcastle. She is also a Games athlete ambassador. Click here to read more about Belinda’s story. 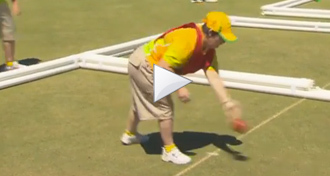 and she will compete in bocce at the Special Olympics Asia Pacific Games in just two days time. Good luck Donna and Team Australia! Photo: Taste Media. The Aussie team settled into the Athlete Village last night at Cypress Lakes turning the resort into a sea of green and gold as they gathered for a dinner celebration. Today, despite the heavy rain in Newcastle, the Aussie team are in training as they prepare for competition to kick off on 2 December 2013. The Aussie athletics team hit the track. Photo: Peter Muhlbock, Special Olympics Australia. Today, the Aussie team were out and about at sports venues in Newcastle getting in some vital training with team-mates from around Australia before competition kicks off on Monday. To view pictures, click here. 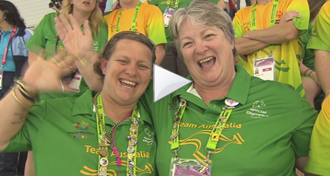 Watch Claudia Jackson with her mum Leanne on Channel Nine's TODAY show this morning. Thanks for getting up very, very early to promote Special Olympics Australia. 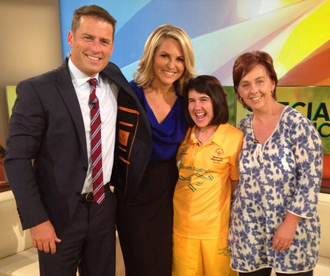 This morning local Newcastle basketballer and Team Australia athlete, Claudia Jackson joined Karl Stefanovic and Georgie Gardner on the couch of Channel Nine’s TODAY show to talk about how proud she is to represent Australia at the Special Olympics Asia Pacific Games. Karl was charmed by the sixteen-year-old who was joined by her mum Leanne Jackson. Watching from the Athlete Village were Claudia’s team-mates who let out a big cheer when she waved to camera and said 'hi' to everyone back at the Village. Click the image above to watch the segment that aired this morning at 8.15am. Claudia was a smash hit on the TODAY show, mingling with Karl Stefanovic and Georgie Gardner during an ad break. Photo: TODAY via Instagram. You can send a message of support to the Aussie team via a champogram. Simply record a video, take a photo or write a message and post it via Twitter or Instagram using the hashtag #champogram in the post. 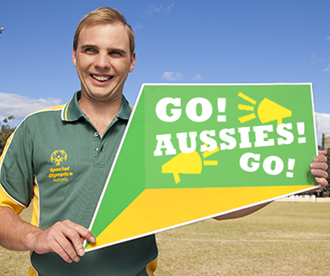 Alternatively post your message to the Special Olympics Australia facebook wall . Once moderated, your message will appear on our champogram wall. View some of the champograms we have received below and watch our instructional video on how to champogram. 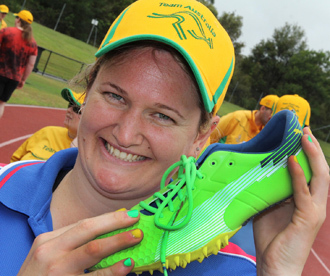 Kristin Mercer has the nails painted and the new 'Usain Bolt' spikes were tested at training today. Photo: Peter Muhlbock, Special Olympics Australia. When you are representing your country, you want to shout it out to the world and our Aussie athletes are not shy in seeking attention. 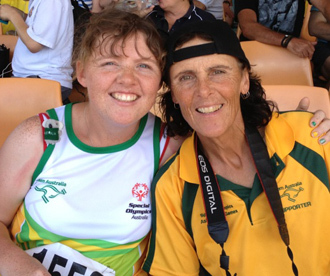 Kristin Mercer is proud to be giving a personal green and gold to her Australian uniform. If you spot something fun email a photo and caption tomedia@specialolympics.com.au and we will include it in our photo galleries. 2013 Law Enforcement Final Leg Torch Run at Cessnock. Detective Inspector - Crime Manager John Zdrilic pictured with Team Australia swimmers after the torch lighting ceremony at Cessnock today. Photo: Peter Muhlbock, Special Olympics Australia. Today our Law Enforcement Torch officers completed three legs of the Final Leg Torch Run through Muswellbrook, Singleton and Nelson Bay. Tomorrow the Torch Run will go through Maitland, Warners Bay and Spears Point. Click here to see more torch run photos. 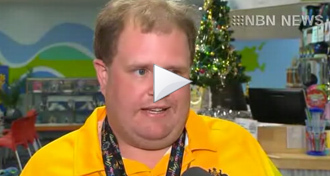 Members of the Special Olympics Australia aquatics team, one of our wonderful volunteers and Newcastle Jets players share their preparation and excitement for the Special Olympics Asia Pacific Games. With the Opening Ceremony only days away, it is time to heed the call of our athletes, volunteers and supporters and join us at Hunter Stadium on Sunday night to celebrate the opening of the Games. With just five days to go until the Games, Team Australia still need some help to reach the $1.4 million team fundraising target. Click here to make a tax-deductible donation to the 400 Aussie athletes representing Team Australia. 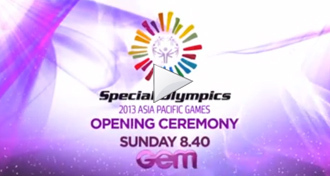 We are thrilled to announce that our inaugural Special Olympics Asia Pacific Games are set to open with a bang on Sunday night December 1, 2013 in Newcastle. For the first time ever the Special Olympics Games will be aired across the country. The star-studded Opening Ceremony will feature the Parade of Athletes including our 400 athletes in Team Australia headlined by Australia’s most successful male vocal group, Human Nature. 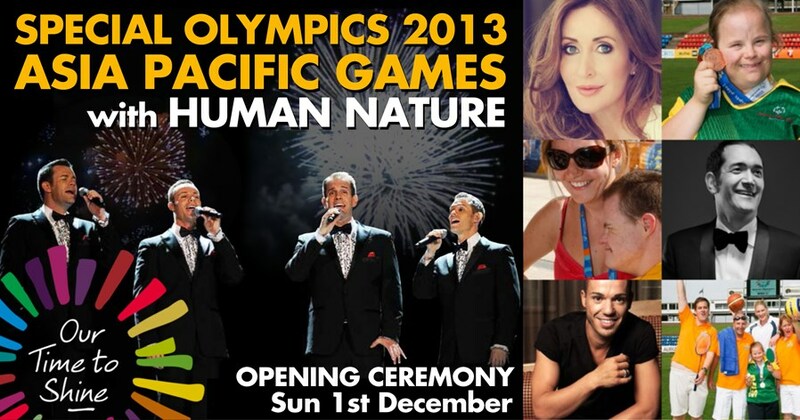 Joining Human Nature in the two-hour entertainment spectacular will be Anthony Callea, Iva Davies, Marcia Hines, The McClymonts, Silvie Paladino, Doug Parkinson, Darren Percival, Marina Prior and the stars of the show 2,500 athletes and officials from 32 countries across the Asia Pacific. Governor General of the Commonwealth of Australia will officially declare the games open. The Law Enforcement Torch Run will be carrying the "Flame of Hope" into the stadium for the ceremonial cauldron lighting. Please share the exciting news with your friends and network, make a night of it and celebrate with us. Viewers around the country are encouraged to tune-in and support our 400-strong Australian team and enjoy the musical extravaganza. Have FUN and ENJOY! 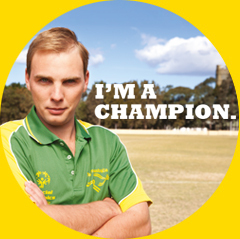 SEND A live message to our Aussie Champions on the Special Olympics Australia Facebook Page simply add #champogram to your post. Same for Twitter and Instagram. 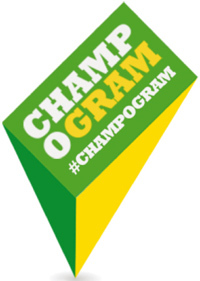 Make a video, take a photo, send a message - "don't forget the hashtag - #champogram and cheer them on while you watch. Keiran Corry is a Hunter local and will compete in aquatics at the Special Olympics Asia Pacific Games in just three days time. Good luck Keiran and Team Australia! Photo: Taste Media. 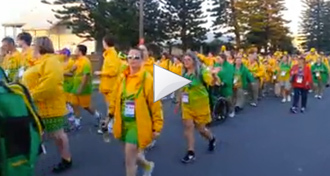 Most teams have now arrived in Australia and are settling into camp in and around Newcastle before the Special Olympics Asia Pacific Games kicks off with a spectacular Opening Ceremony on 1 December 2013. Welcome to Australia everyone! TEAM AUSTRALIA ARE IN TOWN! Team Australia has arrived at the Athletes Village where Queensland athlete Jasmine Williams got lost in a sea of green and gold baggage. Photo: Peter Muhlbock, Special Olympics Australia. Team Australia are now at the Athlete Village at Cypress Lakes Resort and tonight they spent the evening settling in, familairising themselves with their team-mates and celebrating with delegations from Singapore, New Zealand and Samoa who are also staying at the resort. Tomorrow and Saturday the Aussie team will be in training in preparation for the start of competition on 2 December 2013. The Australian team will compete in aquatics, athletics, basketball, bocce, cricket, football, table tennis and tenpin bowling. The only sport Australia will not participate in is badminton. 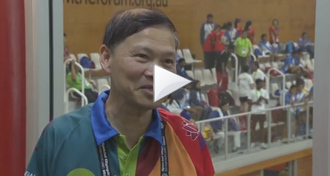 Watch the SBS News feature on Team Australia and Team Mongolia's arrival in Newcastle. Watch the NBN News video of Team Australia's arrival in Newcastle. Australia will field the largest team at the Special Olympics Asia Pacific Games with 400 athletes set to compete across eight sports. On the flip side the smallest team is from Mongolia with two athletes. Members from both teams were greeted with fanfare at Newcastle Airport today including a jovial reception from Games mascot Kit the Koala. It was an exciting day at Hunter Stadium yesterday with the raising of the first Special Olympics Asia Pacific Games flag.The flags will be flying all around Newcastle, so keep a lookout for them around the city. When you are representing your country, you want to shout it out to the world and our Aussie athletes are not shy in seeking attention. These are just two of the loud hairdo’s we have spotted at the Athlete Village. Have fun Dane Palmer and Matthew Streeting. The small group of staff from Special Olympics Australia, who are in town to support the team, are not shy either with bright Team Australia shirts. 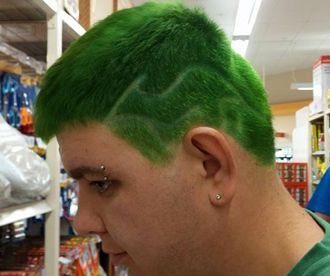 To spot us just look for the lime! 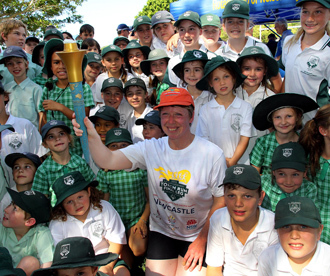 Law Enforcement torch Run Officer, Jacquie Spencer poses with local school kids at Nelson Bay after the lighting of the cauldron today. 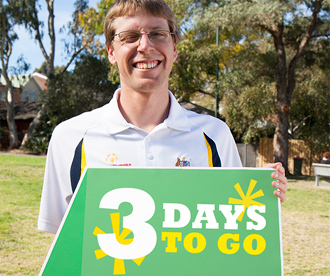 Photo: Peter Muhlbock, Special Olympics Australia. Today our Law Enforcement Torch officers completed three legs of the Final Leg Torch Run through Forster, Nelson Bay and Raymond Terrace. Tomorrow the you can catch the Torch Run in Muswellbrook, Singleton and Nelson Bay. 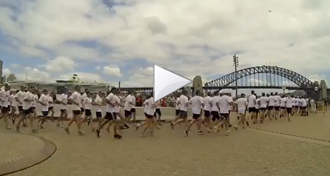 Watch the NSW Police video highlights of the Final Leg Torch Run launch across the Harbour Bridge in Sydney. Newcastle Knights rugby league legend and icon of the Hunter region Paul Harragon has encouraged local sports organisations to get involved in the Games. The atmosphere will be electric on Sunday night when 2,500 athletes from 32 countries march into Hunter Stadium for the Opening Ceremony of the Special Olympics Asia Pacific Games. Make sure you are part of the action and get your discounted tickets in the green and gold supporters area where you can enjoy a night of top-class family entertainment while supporting our proud athletes. Simply click here to purchase tickets orclick here for a range of corporate hospitality packages. 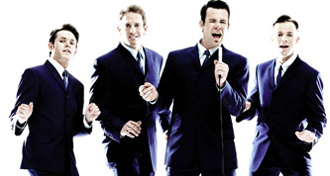 Australia's most successful male vocal group Human Nature will headline a star-studdded Opening Ceremony at Hunter Stadium in Newcastle on 1 December 2013. 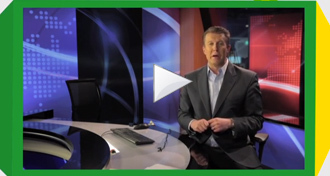 Click the image above to view the Channel Nine Today show piece that won an Australian Sports Commission Media Award. This time last year, 350 junior athletes were celebrating the Special Olympics Junior National Games in Newcastle and Mike Dalton’s report for the Channel’s Nine Today show featuring our junior athletes has won the Australian Sports Commission (ASC) Media Award for Best Representation of People with Disability in Sport. The award was accepted by Mike at a gala presentation in Melbourne last night. Special Olympics Board Member, Max Jackson also attended as a guest of the ASC. Watch the Today show tomorrow when one of the stars of the piece, Special Olympics basketballer Claudia Jackson will be interviewed live in studio at 8.15am. Claudia, a Newcastle local, is set to compete at the Special Olympics Asia Pacific Games where she will represent Australia for the first time. Say hello to our friends from overseas. "I may face extra challenges... but I wouldn't have it any other way. It's just who I am." #FlashbackFriday Check out the proud Team South Australia at the 1992 National Games in Brisbane. Many of them are still in the program. Give them a shout out if you recognise anyone...because they obviously like things loud!!!!!! Congratulations Stephen on a great summer of cricket! Already looking forward to next season. 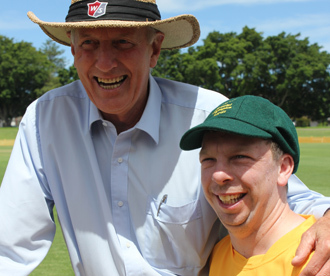 Valleys cricketer, Stephen O’May has capped off a successful year representing Queensland at the 2016 Special Olympics Cricket Invitational in Adelaide. Some great photos from the Victoria State Games held in Bendigo this past weekend. Check out all the shots at Law Enforcement Torch Run - Victoria, Australia's page. Congratulations to all those who attended and thanks to the volunteers for making such an amazing weekend of sport and fun happen! Congratulations to 22 young women from around Australia who have been invited into the 2016 Australian Pearls squad. The squad will have a training session in Melbourne in June and a team of 10 will travel to Japan in August to compete. This is an exciting step in the next 4 year journey that will also include a World Championship and the Global Games (in Brisbane 2019). Congratulations to: SA - Amy Howard ACT - Brittany Anderson, Taylor Anderson NSW - Dianne Demello, Eliza Mills, Jessica Duncan, Lisa Mackie, Kim Perry, Nicole Harris VIC - Chloe Turner, Dani Phillips, Danni Burden, Evie Patterson, Goergia Hoad, Jessica McCulloch, Kaitlyn Papworth, Kate Leckenby, Katlin Zonneveld, Lois Shea, Molly Urquhart-Moran, Sam Hough, Sam Willier. Apple has released a couple of videos over the weekend starring Dillan Barmache, a 16-year-old kid who is autistic and non-verbal. These two films are..
Dapto's Caleb Jordan, who has Down Syndrome, shows off his modelling ability in the latest Target brochure. Good luck to all those competing at the Victoria State Games in City of Greater Bendigo this weekend! The Games kick off with the Opening Ceremony tonight featuring a torch run with Law Enforcement Torch Run - Victoria, Australia. Competition will run over Saturday and Sunday in aquatics, athletics, bocce, golf, netball, softball and tennis. Have a great weekend of sport and fun! #TBT Yesterday was the 120th anniversary of the modern Olympic Games which were held at Panathenaic Stadium in Athens in 1896. In 2011, the Stadium played host to the Opening Ceremony of the Special Olympics World Summer Games where 130 Aussie athletes took centre stage. Thanks to Cisco, two lucky Special Olympics Australia athletes, Bradley Bloom (NSW) and Georgina Broadway (VIC), got to have a hit with Aussie tennis legend Lleyton Hewitt at the National Tennis Centre in Melbourne this morning. Looks like great fun. I hope you guys got some tips! We're wishing a big happy 50th birthday to our ambassador and Nine News Sydney newsreader Peter Overton! Pete has been an ambassador for 15 years and we couldn't be prouder to have him on board! Team Australia 2017 is complete with the announcement of our officials! 12 athletes will be supported by 5 volunteer officials as they wear the green and gold with pride at the Special Olympics World Games 2017. Meet the team and find out how you can help them get to Austria at specialolympics.com.au/teamaustralia2017! Congratulations to Amechai Bawden from Mt Gambier in South Australia who this afternoon competed in the 1500m parathlete final at the Australian Athletics Championships in Sydney! #ThrowbackThursday commemorates this day 27 years ago! The official program from the 4th Special Olympics World Winter Games in Reno, Nevada and Lake Tahoe, California. The Games ran from 1-8 April 1989 with more than 1,000 athletes from 18 countries participating in the event. Video - Check out Parker, a 2-year-old boy with Down syndrome who is the newest face of BONDS! Check out Parker, a 2-year-old boy with Down syndrome who is the newest face of BONDS! 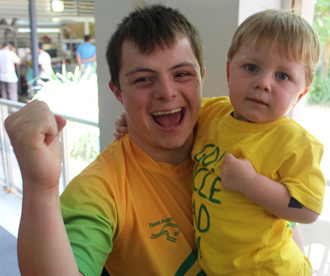 Photo - Happy Easter from everyone at Special Olympics Australia! 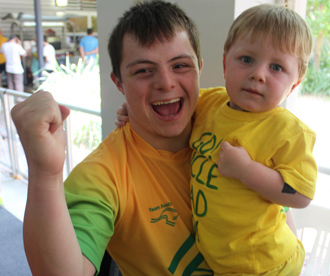 Happy Easter from everyone at Special Olympics Australia! #ThrowbackThursday to our first ever Team Australia! In 1983, a team of eight athletes represented Australia in aquatics and athletics at the International Special Olympics Summer Games in Baton Rouge, USA. Watch out for the next phase of our 40 year anniversary history timeline which drops next week! Great to see our Special Olympics Sydney Hills club on the front cover of the Hills Shire Times this week! More great coverage from our friends at NewsLocal and what a great photo! “I’m only a dad with an idea. An idea that worked." 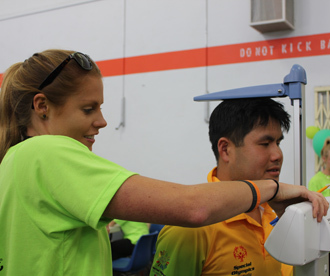 Special Olympics CEO Mary Davis sends a message of congratulations to Special Olympics Australia on our 40 year anniversary and speaks about the important role of volunteers in athlete development. Photo - The games are now underway, but not before a little bit of fun! The games are now underway, but not before a little bit of fun! Today we're celebrating one year until the Opening Ceremony of the Special Olympics World Games 2017! Meet Team Australia and help them get to Austria at specialolympics.com.au/teamaustralia2017. #TBT This week as we celebrate 1 year to go until Team Australia arrive at the Special Olympics World Winter Games 2017, we found this photo featuring athletes from our first international team who competed at the 1983 World Games in Louisiana, USA. Great photo bomb!!!!! Get excited! It's one year until the Special Olympics World Games 2017 in Austria and the countdown is on! 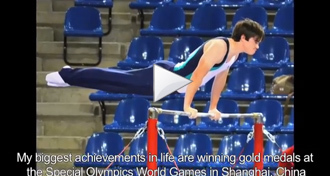 Hear the message from Special Olympics Chairman Tim Shriver. 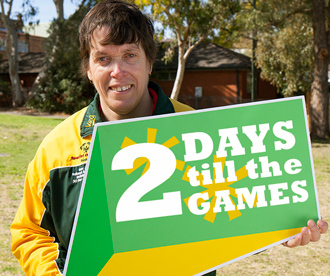 You can meet Team Australia and help them get to the Games at specialolympics.com.au/teamaustralia2017. As the world celebrates one year until the Special Olympics World Games 2017, check out what is in store for our 12 Aussie champions and the 3,000 other Special Olympics athletes in Austria. Some awesome photos from local club competitions around Australia over the weekend. Great to see so many athlete smiles! Thanks to our amazing coaches and volunteers who continue to facilitate weekly sports training and competition! At the Opening Ceremony of the 2015 World Summer Games in Los Angeles the video package '7,000 Journeys' was shown. It is an inspirational look at the power of opportunity and the celebration of ability. Plus it features our very own Sandy Freeman! Check it out! Thanks to all those who joined our 40 year celebrations by taking a #LeapForAthletes. Here are just a few highlights. See anyone you know? A GLEN Waverley basketballer who is representing Australia at the Special Olympics World Summer Games is appealing for more public basketball rings in his neighbourhood. #ThrowbackThursday to the first ever Australian representative at a Law Enforcement Torch Run Final Leg. Alan Keane was part of the Torch Run at the 2003 World Summer Games in Ireland! There will be four members of the Law Enforcement Torch Run (NSW) for Special Olympics at the Final Leg for the World Winter Games Austria 2017 - Alison Fahey, Torch Runner; Alan Keane, Team Leader; Don Stuart, Route Leader; and Scott Whyte, Logistics Team Member. The torch run will begin in one year. Have a great time in Austria! 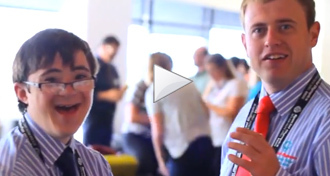 Last week we had a party in the national office to celebrate 40 years of Special Olympics Australia. A big thanks to Goodman Group who have kindly supported us with our office space. The Special Olympics Australia community was devastated over the weekend with news of the passing of a pioneer – Mr Leon Burwell OAM – otherwise known as “Mr Special Olympics” in Australia. We would like to send our condolences to the Burwell family and to everyone in the Special Olympics Australia community who is grieving at this time. 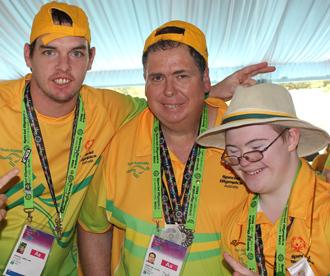 Read the message from Nigel Milan, Chairman of Special Olympics Australia at http://tinyurl.com/h8a2je7. Thanks for the birthday messages! Yesterday was also Jazz’s 16th birthday. Jazz is one of our young equestrian stars and she wants to see Special Olympics Australia leap into the future so her party guests gave a leap of support. Jazz also starred in her local paper - tinyurl.com/jazzbirthday - Leave her a birthday message here.